Pick/ban is great, but I'd like to stop losing because my team abandons me. For Rainbow Six Siege fans, Christmas comes every February at the Six Invitational. It’s the special time when Ubisoft takes the stage and gives a “State of the Siege Address” that sets the tone for the year to come. It’s hard to feel great about Siege’s revamped Ranked when it still has so many pitfalls that keep it from feeling competitive. If two teammates abandon the match, a loss is a loss. If your opponent brought their Diamond friend to a Copper-level match, a loss is a loss. Your rank decreases because of factors completely out of your control. The MMR hit for losing is way more than you get for winning, so you can only ever take one step forward and two steps back. When the credits roll on most matches, it’s commonplace to peruse the enemy’s ranks and find at least one high-level player that shouldn’t have been allowed in. In about half of my Ranked matches, somebody leaves at some point. They can return if they were disconnected by lag or a crash, but that feature only works about half the time. In most cases, players are leaving because they don’t like how the match is going and they don’t fear the consequences of the abandon. Sure, you get locked out of joining another Ranked match for 30 minutes, but that doesn’t matter if you were closing the game anyway or just want to play Casual. Matchmaking is hard to get right. Every game has its share of issues, but it’s frustrating to see templates for solutions in other games go unexplored in Siege for years. In Overwatch, an early abandon from a teammate triggers a window for a surrender to be called without anyone losing MMR. That feature alone, tweaked to Siege’s ecosystem, would improve the Ranked experience for everyone overnight. Dota 2 has Low Priority Matchmaking, a temporary account status that automatically groups together players who often abandon matches or have several reports against their account. Players who make the game worse for everyone else are banished to their own matchmaking hell and everyone else has a smoother experience. Siege needs low priority matchmaking yesterday. When the credits roll on most matches, it’s commonplace to peruse the enemy’s ranks and find at least one high-level player that shouldn’t have been allowed in. Unlike Siege’s cousin Counter-Strike: Global Offensive, you can squad up with a friend no matter their rank. It’s nice to know that I can always play with friends no matter what, but the lenient rule is constantly abused in a way that sabotages matches from the very beginning. Siege needs some sort of limiter for squadding up with mismatched skill levels. Make no mistake, the changes that are coming to Ranked are amazing. Pick/ban is a welcome strategical addition to Siege and I’m glad there will finally be resources in the game to track stats. It’s a smart move for Ubisoft to recognize the Road to S.I. mode’s positive reception and feed it back into Ranked. But it’s disconcerting to see Ubi ready to take Ranked out of beta while other issues are still so prominent. It doesn’t instil confidence that they really see these things as big problems. It’s possible that Ubi is working on the stuff mentioned above. Now that they’ve formed a dedicated team to look at the playlists and improve them, I’m sure they’ll be tackled at some point. But with the pace that Siege moves, we don’t know if that means next season or next year. I reached out to Ubisoft to clarify if they’re working these problems ahead of Ranked’s full release, but I haven’t heard back yet. 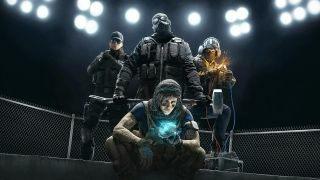 If solutions to these problems aren’t coming soon, then Ranked isn’t ready to leave beta.